Ducati 600SS - race prepared and competed in the Desmo Due series. 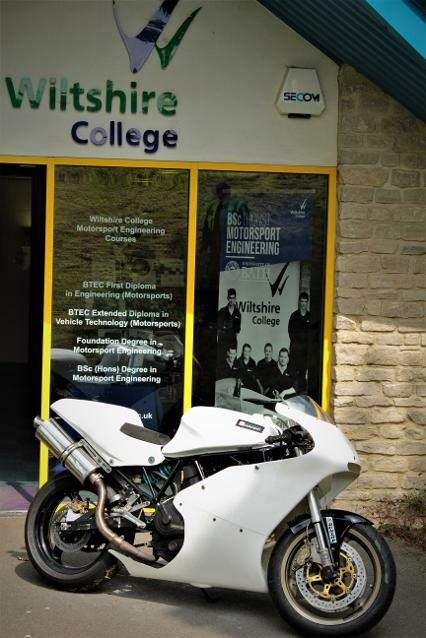 Provided in partnership with the Wiltshire College Motorsport Facility based at Castle Combe. This may be only 57bhp but it weighs 140kg and corners really well. It is great fun on the track and not intimidating in any way. A good way to learn track riding.